The Rooster Diaper Bag from 2 Red Hens is a great diaper bag for a mom who likes to have a little style. This diaper bag's outer layer is water - resistant, making it quick and easy to wipe it down in a pinch. It has a large zippered inside pocket, a bottle holder and two pockets with elastic. I like that the diaper bags are created for real moms by a real mother. The straps on this diaper bag are removable for your convenience. Don't take up room in the under basket of your stroller, just unhook both of the straps (leaving one end attached) and reattach your straps around the stroller handle. 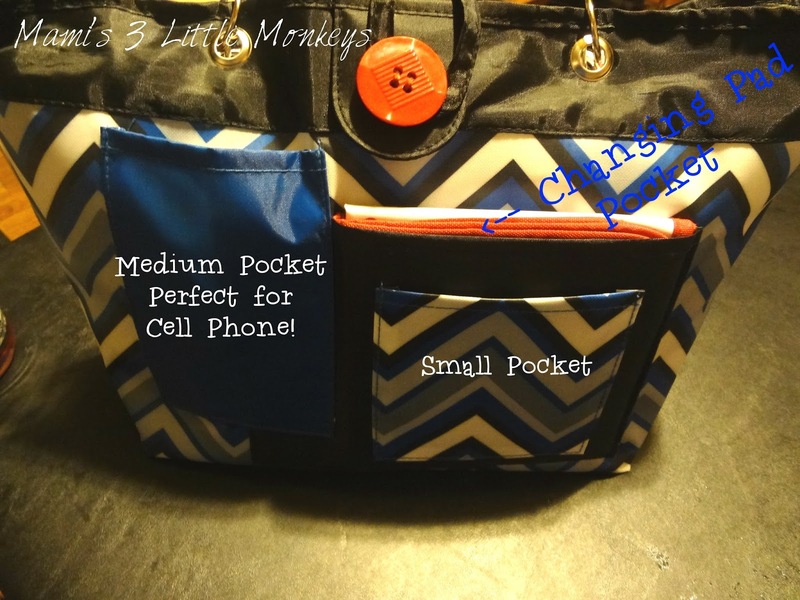 Magnetic snaps, at both ends of the diaper bag, help allow a busy mom to effortlessly close the diaper bag so contents don't fall out, there is a magnetic button as well that helps for added security as so many of us moms use our diaper bag as a purse as well. Tired of having to go digging for gold your keys in the diaper bag, your purse, etc? The Rooster Diaper Bag has an attached key fob! PERFECT! I love the Coop Carry-All Baby Set! I love the Pink Lemonade pattern in Snack Bags.